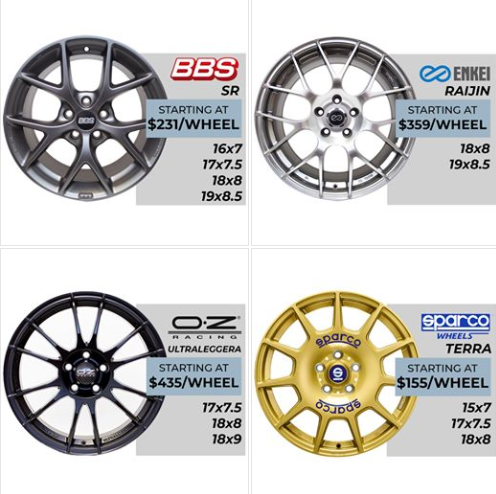 Brand new rims, tires and packages available at a low cost! Mounting and Balancing included in packages! Here are just a few options that are available for winter packages!